The thesis collection at the Eddie Davies Library has copies of the Manchester Business School PhD and DBA theses. Recent theses are available online through University of Manchester eScholar. Tasavori, M (2011) Corporate Social Entrepreneurship at the Bottom of the Economic Pyramid: Antecedents and Outcomes in India. (PhD) University of Manchester, Manchester Business School. 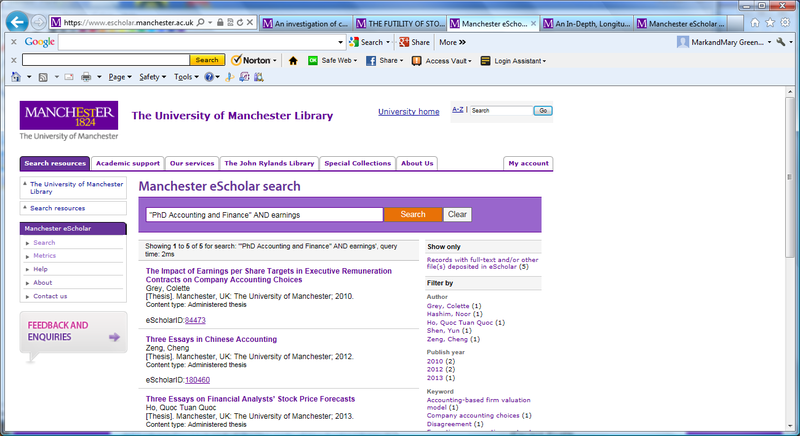 Available at www.manchester.ac.uk/escholar/uk-ac-man-scw:155842 (Accessed 19 Jul 2012). Having dealt with a recent enquiry relating to Data Mining and Education/Universities I advised a student of various library resources available for their research. These included books, journal articles (via databases: Business Source Premier, ABI Inform, Science Direct, SAGE Full Text) and the theses collection. This last source is often overlooked but potentially offers a wealth of useful and unexpected material. This could be reports, official statistics, Internet sites, company Annual Reports and other theses. 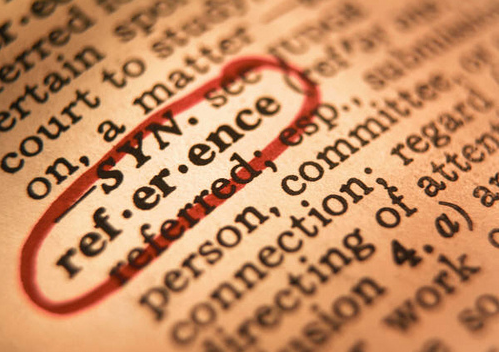 This information is available quickly by glancing at the Bibliography (list of sources of information used in a piece of research) at the rear of a PhD thesis, which is the result of 3 years research effort on the part of the author. 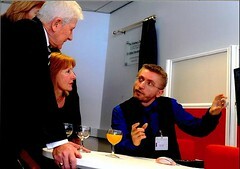 PhD theses are held at the Joule library primarily, but also within the Eddie Davies Library (Postgraduate access. By prior arrangement for undergraduate students). Additionally there are a small number of undergraduate dissertations held in the Precinct Library. 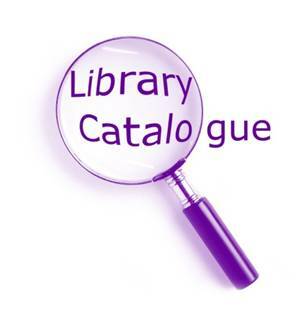 Details of this collection is available from the library catalogue, by selecting ‘More Search Options’, then ‘Theses‘ within the Collection drop down menu. The JRUL catalogued theses holdings can be confusing for people looking for Manchester Business School (MBS) theses. The answer Where can I find MBS theses? provides brief details. 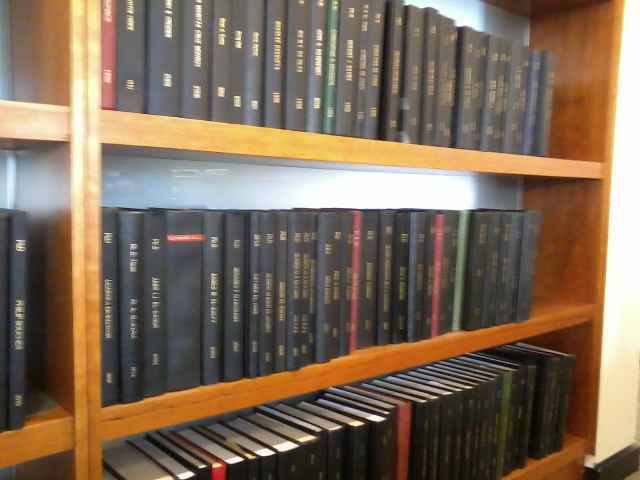 All theses the library has are searchable on the catalogue, and the main collection of theses is at the Joule library. However not all MBS theses are held by the library. The Eddie Davies Library has a printed copy and the Joule library has a copy (as part of the main theses collection for all the University of Manchester). For older theses, when the business school library was separate, the Eddie Davies Library will have the printed copy. The Publisher in the catalogue is University of Manchester for post 2004 theses. Some theses are marked DBA on the catalogue, so you can use this as a keyword in your search. There are a small number of MBS MSc theses (pre-1990) available in print in the Eddie Davies Library. However, it is not possible to specifically search for MBS MSc theses on the catalogue. Prior to 1995, MBA students could choose to do a thesis. These theses are all on MIRAC microfiche (so you need to use the microfiche reader). The Precinct library has a collection of BSc theses, from undergraduate courses that included a thesis element.